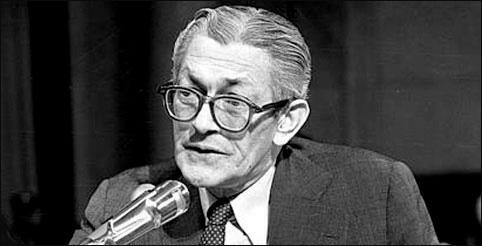 Don’t miss this fascinating taut expose’ by Jefferson Morley, author of the recently published biography, The Ghost: The Secret Life of CIA Spymaster James Jesus Angleton, on the legendary head of counterintelligence within the CIA. Morley deftly touches on Angelton’s quixotic legacy, focusing upon the heated controversy concerning Soviet defectors Anatoly Golitsyn and Yuri Nosenko via some newly unearthed covert documents described as the Cleveland Cram File. Cram was a veteran CIA functionary slated to investigate Angelton’s longstanding dogmatic suspicions concerning a Soviet mole within CIA by forces within the Agency. Morley’s description of the intricate efforts of how he obtained this information is itself intriguing and demonstrates his masterful skill as an investigative journalist. Cram relied in part on a secret CIA history titled “The Monster Plot,” written by John Hart, a career officer in the Soviet Russia division who had previously studied the Nosenko case on behalf of CIA Director Richard Helms. “The Monster Plot,” which runs to more than 180 pages, was declassified with a batch of JFK assassination files in November; Cram kept a copy in his personal papers. Mentioned almost in passing was Pyotr Popov, a Soviet military intelligence (GRU) officer who had been passing secrets to the Americans for seven years. In April 1958, Popov had alerted his Soviet Russia Division (SRD) case officer George Kisevalter that clandestine technical information regarding the CIA U-2 spy plane had reached Soviet intelligence via a Soviet mole. Thus began Angelton’s elaborate efforts to discover and out this treacherous mole. We journey deeper within the Wilderness of Mirrors as a young Marine radar operator, Lee Harvey Oswald, soon attempts defection to the USSR, entering the cloistered labyrinth of decades of lies, disinformation, duplicity, and deception regarding this mysterious individual. That disturbing aspect of the story is fleshed out in John M. Newman’s Countdown to Darkness: The Assassination of President Kennedy, Volume II, and in Peter Dale Scott’s Dallas ’63: The First Deep State Revolt Against the White House. Angelton was in the epicenter of events which led to the November 22, 1963 coup d’état and savage murder of President John F. Kennedy. You know how I got to be in charge of counterintelligence? I agreed not to polygraph or require detailed background checks on Allen Dulles and 60 of his closest friends . . . They were afraid that their own business dealings with Hitler’s pals would come out. They were too arrogant to believe that the Russians would discover it all . . . Fundamentally, the founding fathers of U.S. intelligence were liars. The better you lied and the more you betrayed, the more likely you would be promoted. These people attracted and promoted each other. Outside of their duplicity, the only thing they had in common was a desire for absolute power. I did things that, in looking back on my life, I regret. But I was part of it and loved being in it . . . Allen Dulles, Richard Helms, Carmel Offiie, and Frank Wisner were the grand masters. If you were in a room with them you were in a room full of people that you had to believe would deservedly end up in hell. I guess I will see them there soon. Joseph J. Trento, The Secret History of the CIA, pages 478-479.